If a normal day on your job includes rappelling down a building, you might need a pair of Reebok Men's Black RB8674 Rapid Response Side Zip EH Composite Toe Military Boots. Designed for Working Men who don't just work--but take daring leaps every day, these tactic ... (see full details) (see specifications) #RBKRB8674. If a normal day on your job includes rappelling down a building, you might need a pair of Reebok Men's Black RB8674 Rapid Response Side Zip EH Composite Toe Military Boots. Designed for Working Men who don't just work--but take daring leaps every day, these tactical boots are built for performance. Black high-top sneaker-type tactical boots are ready to take anything the day can dish out. With uppers made of smooth black leather and ballistic nylon, these Reebok military boots go from night to the dead of night with ease. They're 100% non-metallic, so they won't set off any security sensors. These Rapid Response boots are lined with Tailex, even if your postion is vulnerable and you find yourself sweating bullets, your feet will come out of things OK. Tailex wicks moisture away from your feet and helps prevent chafing. If the operation ends with you sprinting after the perp, you won't have any blisters to complain about the next day if you're wearing these Reebok safety toe boots. When you're ready to spring into action, you also have to be ready for your feet to take a pounding. The insoles and outsoles of these composite toe boots help reduce stress caused by impact. The removable insoles are made of F2 dual-density Polyurethane. They cushion your feet. Your heels will love the TPU heel stabilizers that keep your feet in line and help keep your heels and ankles aligned. Shock-eliminator heel cushions built into these side zip boots also prevent the pain caused by repeated heel strike (which helps if you have to jump over walls and fences on a regular basis). You never know what your job will entail, that's why you need durable safety boots that keep you ready for anything. Black, dual-density outsoles give you support and cushion where your feet need it most. Mountain Trial Rubber sole bottoms are designed for running and walking over all sorts of surfaces. And when the ground is uneven, or strewn with rubble, EVA cushion midsoles on these Reebok boots helps absorb the variations in terrain. Lace-up fronts and side zippers provide comfort and a quick-entry or exit. Adjust the laces as you like, find your fit, and thereafter use the zippers to get in and out of these Rapid Response Tactical Boots. A job like yours gives you enough to worry about without having to worry about your footwear. When you wear a pair of Reebok Black RB8674 Rapid Response Side Zip EH Composite Toe Men's Boots, you can trust that your footwear will be comfortable and reliable. If you liked the Converse C8674, you will love the Reebok RB8674. 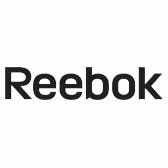 Reebok Boots: Men's RB8674 Rapid Response EH Composite Toe Military Boots is being added to your cart.